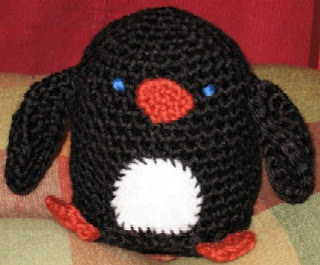 Hope you have fun crocheting lots of little penguins! Pablito’s body is worked in rounds. The diameter of the circle should now measure approx. 3 inches. Repeat Rnd8 until body height is approx 3.5 inches, 1 sl st in next sc, bind off. Repeat instructions for Body up until Round 8, 1 sl st in next sc, bind off. Arms are also worked in round. Rnd 1– Ch 6, 3 sc in second chain from hook, 3 sc, 3 sc in next chain –you are now in the other half of the chain-, 3 sc. Rnd3 - *3 sc in next sc, 8 sc*, repeat once, 1 sl st in next sc, bind off. Rnd3 – Repeat Rnd2, bind off. Rnd2 – Skip first sc, sc in second sc, sc in next sc, skip next sc, sc in following sc. Rnd3 – Sc in third sc from hook, bind off. Cut out a circular piece of white felt. Look at the picture to get an idea of the whereabouts of each piece. Sew legs to WS of body base. Stuff body and sew to base (so legs are in between the body and the base, and the right side of the base is showing at the bottom). Fold arms in half and sew to sides of body. Sew beak and tummy to Pablito’s body. 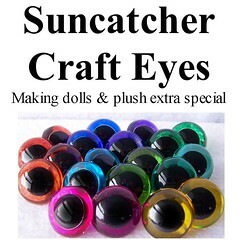 Using blue embroidery floss, make him a pair of eyes. Your little crochet creatures are so cute!! I love them. 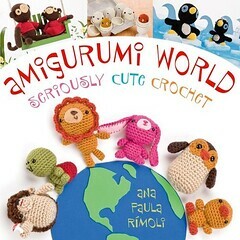 You amigurumis are very very pretty! Congratulations! Hi!My name is Rafa, I'm a Brazillian! For sure I'm translating for Portuguese and try to do it! rafa, yo soy de uruguay, si necesitas ayuda traduciendo por ahi te puedo ayudar! beso y gracias! 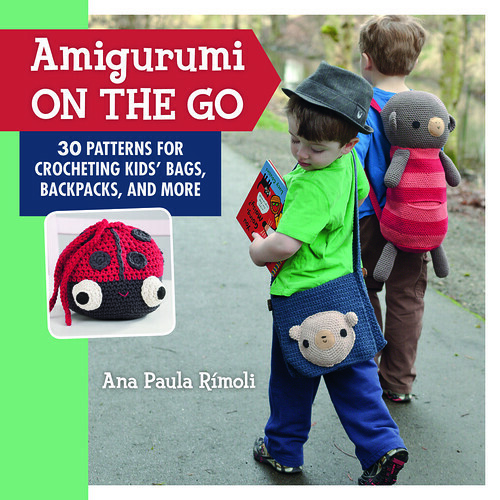 Ana I love your amigurumi, some of the cutest I have seen! I just love the look they have compared to some other amigurumi. I have started making Pablito, I just started on the arms, but I am confused! When I follow the pattern for round 1, I am left with sort of an oblong shape, more like a row! I am new to crocheting, and I am utterly lost. Is there any pointers you can give me if you have the time? I have a 4 year old too, so I know that is hard to come by! My son loves the stuff I crochet, and he is waiting for his penguin, lol. the penguin is beautiful, do you mind telling me how tall it is? I can't wait to star my own, thanks for the pattern! OMG! I just bought your book! Then I find your blog online. YOur animals are so cute. I hope mine turn our as nice as yours! Awww! He is totally cute and thank you for putting up your patterns! 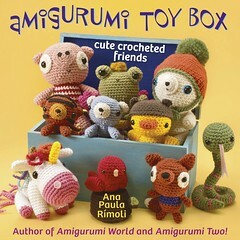 I have only just heard of Amigurami and am so excited about having a go! Definitely starting with Pablito penguin as a birthday present for one of my friends who is a bit of a penguin fanatic. I am a huge fan of your work, which you have probably heard that from like every crocheter in the world! :) My friend and i have all three of your books, one set for my friend and one for me! 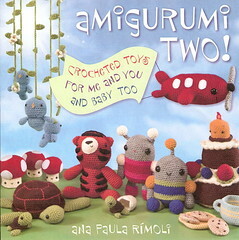 you are an inspiration to all amigurumi makers, and keep up the good work!